Organic Nutrisoil is a screened mixture of Premium Topsoil , Minerals and All natural Organic Dark Leaf Compost. We have our own in house compost facility. This enables us to control the quality of the compost ensuring a nutrient rich product safe for your family and pets. It can be used in any landscape or garden application. Beware of other companies using human or animal waste as compost. Make sure you know the source of any competitors compost before ordering. See it in action! 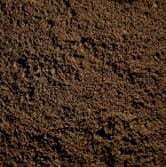 This is a special 4 part blend of Premium Topsoil, Organic Compost, Peat Moss and Perlite. It's excellent for perennial and annual planting beds, vegetable gardens , tree and shrub growth. Plants grow faster, larger, greener and stronger. 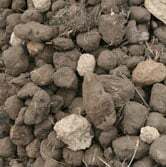 You will find that this product is lighter and will not compact as much as other soil products. English Garden Loam because of its light texture will leave more air pockets for your plant roots to grow and thrive. The small white Perlite pellets absorb and hold more moisture so your plants won't dry out as quickly. More root growth underground = Larger plant growth above ground. This product has been copied in the marketplace but we are the original makers of this product. Beware of cheaper and lesser quality imitations! If it's not English Garden Loam Conditioner... Don't Buy it! The darkest, nutrient rich product on the planet. It can be used in your flower beds to rejuvenate poor soil quality or as a top-dressing on your lawn. In 2-3 weeks your lawn will be greener and thicker with proper watering. The compost is made at our own facility and is all-natural. It is safe for your family and pets. You will be impressed with the results. 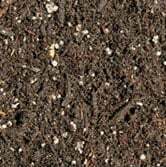 Beware of buying compost from other companies. There have been rumors of using animal or human waste mixed in to their compost because it is cheaper and more readily available. It is imperative to know the source of the compost you are buying. This is our finest grade of premium bark mulch. It is one of the most used by landscapers and homeowners in the area. Alabama is double ground hardwood bark mulch. Its fine consistent texture makes it easy to spread in your beds and around trees. It also protects your plant roots on cool nights by providing a warm blanket that retains the suns warmth. 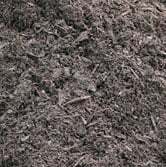 As the mulch breaks down over time the organic nutrients from the mulch slowly works there way down to the root system when it rains and feeds your plants. 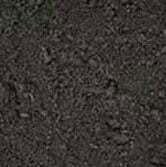 These are ground hardwood mulches that have been applied with an E.P.A approved coloring. They are safe for all landscape applications and retain their color much longer than Natural Bark mulches. IMPORTANT: It is imperative that customers do not apply dye mulches to their beds if there is going to be precipitation within 48 hours of its use. The mulch needs that time to reach the final curing process by being exposed to: Sun, wind and dry air. This will lock the color in and keep it from being washed away by rain. No refunds will be made to customers that fail to follow these guidelines. This material consists of the filtered discharges of our screening machines. 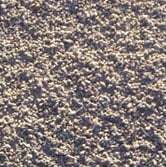 This is excellent for use as filler for low spots or building a berm. Much of the material is topsoil that was simply too large to fit through our small screens so it does have growing capabilities. Be advised that this product also contains, stones, rocks and sticks. It would be best if you visit our facility to see the product in person before taking delivery to make sure this is a material that suits your needs. This product is subject to availability. 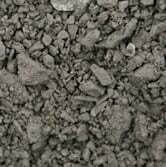 This is crushed Limestone rock from a quarry used for driveways or stone parking lots. It is available in a #1 size which is approximately 1/2 inch. This is the finest stone product you can buy. It is basically the consistency of cat litter. 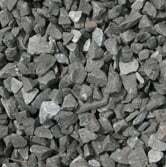 The product comes from the fines produced in the crushing of limestone in a quarry. It is compactable and most commonly used as a base underneath Unilock pavers. This is our smallest stone. It is less than 1/2 inch big. It can be used for playgrounds underneath swing sets or play pen areas for dogs. The stone is the size of peas and is round with no sharp edges. These are multi-colored stones available in #2 and Tailing sizes. The #2 is about 1 inch in size and the tailings are a combination of #2 - #6 size. The largest stone is about 4 inches in diameter. 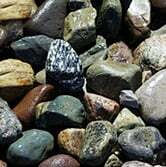 The stones contain: reds, grays, blues, tans and various speckled stones. 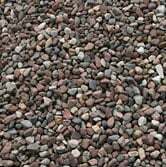 This is #1 crushed Lime stone mixed with fine gravel and rock dust. It is very fine and is easier to spread. It will also compact for use as a base material. * Prices based upon 5 yards or more.